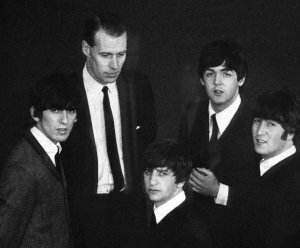 George Martin signed The Beatles to EMI's comedy label, Parlophone. 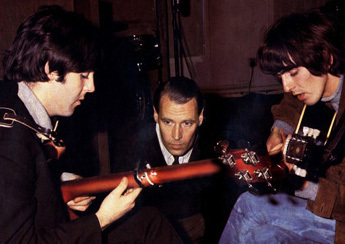 After their first recording session, Martin voiced his displeasure with Best. It was decided that Ringo Starr, drummer with Rory Storm and the Hurricanes, should join, although it was left to Epstein to inform Best. Epstein dismissed Best on 16 August 1962, almost exactly two years after Best had joined the group. Epstein went to the HMV store on Oxford Street in London to transfer the Decca tapes to discs. There, he was referred to Sid Coleman, who ran EMI's publishing arm. 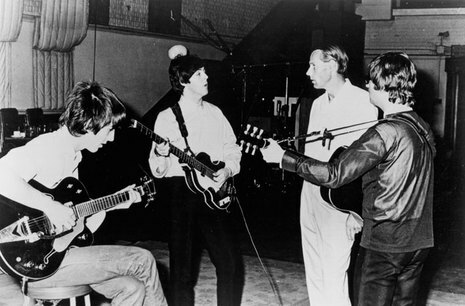 Epstein eventually met with Martin, who signed the group to EMI's Parlophone label on a one-year renewable contract. Martin had a problem with Pete Best. 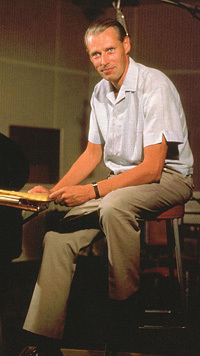 Martin privately suggested to Epstein that the band use another drummer in the studio. In addition, Epstein became exasperated with Best's refusal to adopt the distinctive hairstyle as part of the band's unified look. Best had also missed a number of engagements because of illness. Epstein dismissed Best on 16 August 1962.